The first time I visited Santa Barbara’s newest luxury resort, El Encanto, I didn’t want to leave. I was only there for 24 hours, yet I enjoyed every minute. The stunning Orient-Express Hotels, Ltd. property opened in March 2013, after over seven-years of extensive restoration. Orient-Express Hotels Ltd. is a luxury hotel company and sophisticated adventure travel operator since 1976, when it purchased Hotel Cipriani in Venice and then shortly thereafter recreated the celebrated Venice Simplon-Orient-Express, linking London, Paris and Venice, along with other European cities. During my one night stay, I visited El Encanto’s infinity pool, had an elegant afternoon tea, enjoyed a healthy breakfast made by renowned chef Patrice Martineau and later relaxed with a one-hour spa treatment. 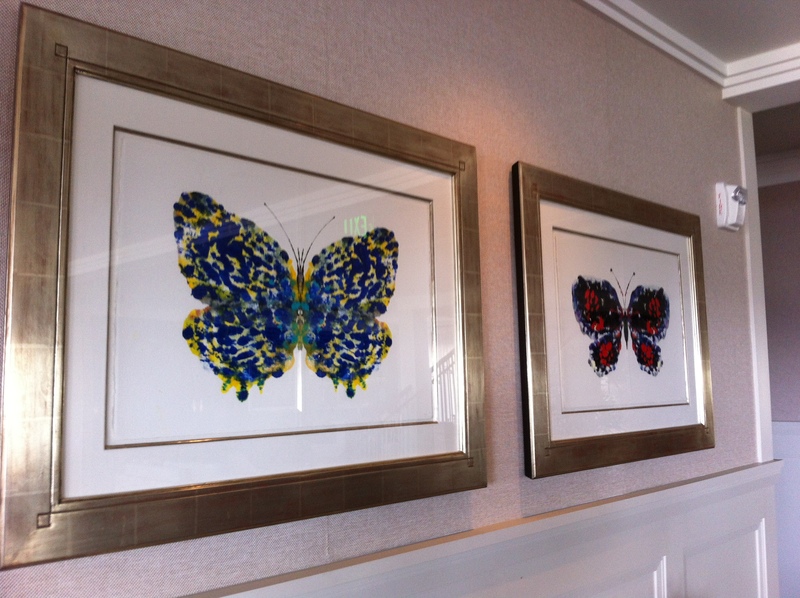 The themes running throughout the resort are hummingbirds and Monarch butterflies. El Encanto is located along the butterflies migratory path. As a tribute, the resort is offering a deal – Monarch Butterfly Migration Package from October 15 through March 15, 2014. Rates start at $570 per night and include luxury accommodations, a ‘Diamond Dusted Monarch’ welcome cocktails, a ‘Healing Cocoon’ spa treatment, and a $60 daily breakfast credit. Schedule a day at The Spa at El Encanto to experience and learn the secrets of eternal youth with an 80-minute session created with hand-picked sage from the lush gardens at El Encanto. The restorative $240 treatment features a body scrub, relaxing massage, and soothing scalp therapy to stimulate circulation and kick-start cell renewal for an all-over fall glow. Chef Patrice Martineau at El Encanto’s Dining Room and Terrace has designed an innovative fall menu that incorporates contemporary California-coastal cuisine infused with Asian touches and French flair. Working in Japan, he favors Japanese herbs, including wasabi and burdock. Many of these are planted in the Chef’s garden ready for his daily picking. The menu incorporates local uni and prawns, to Silver Mountain Aged Cheddar courtesy of the hotel’s very own Holstein cow, Ellie. Having once supervised the culinary offerings at The Savoy in London, Chef Patrice Martineau has introduced an exquisite “High Tea” from the china to the freshly made French pastries. Porcelain artist Lissi Kaplan hand-painted each china tea set. 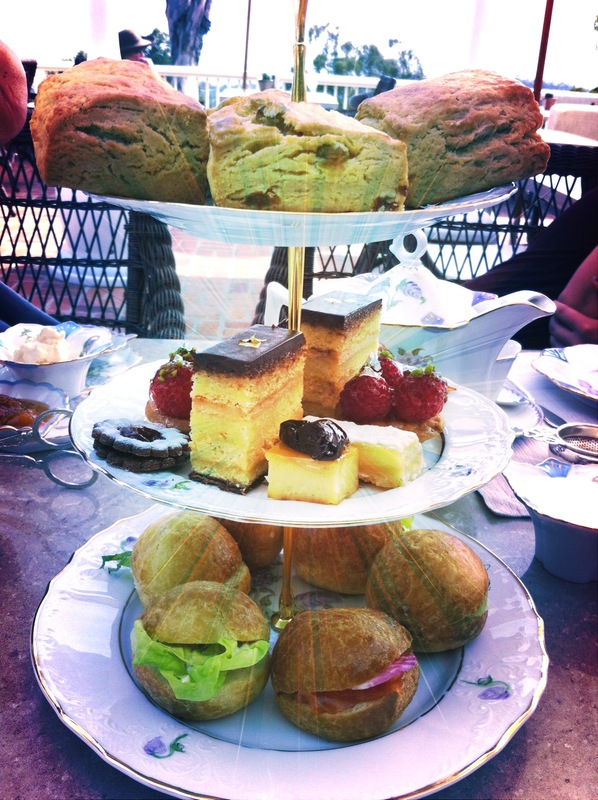 When I experienced the afternoon tea, I has a choice of loose leaf green, white and black teas while indulging in traditional delicacies including raisin-saffron scones, clotted cream, homemade preserves, savory egg salad, and crisp cucumber sandwiches. The tea begins daily between 2:00 and 4:00 p.m. and starts at $20 for the ‘Light Tea’ service. Reservations are required 24 hours in advance. My children and I enjoyed strolling around El Encanto’s seven-acres. We found five unique and colorful ceramic pigs hidden throughout the property. We inspected the Chefs Garden, and pointed out the numerous hummingbird feeders. 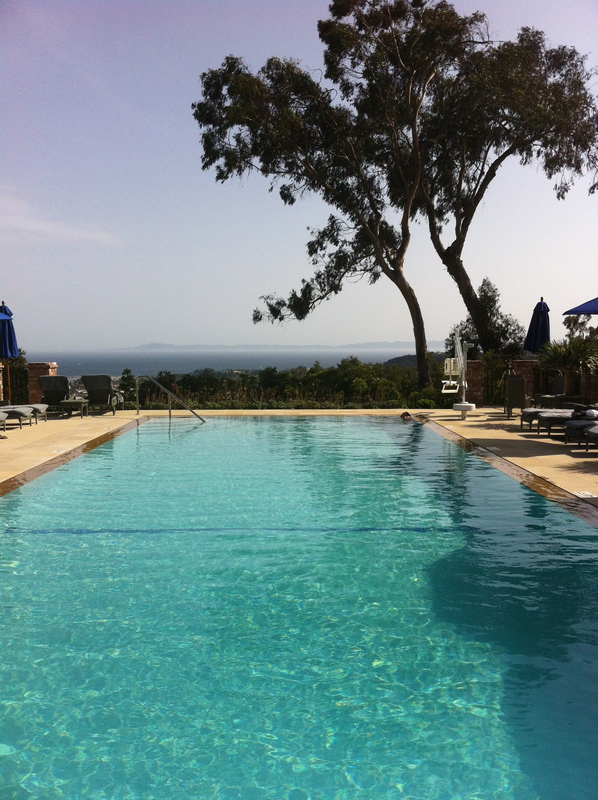 Afterwards, we took another dip in the heated swimming pool and gazed out at the Pacific Ocean and Channel Islands.